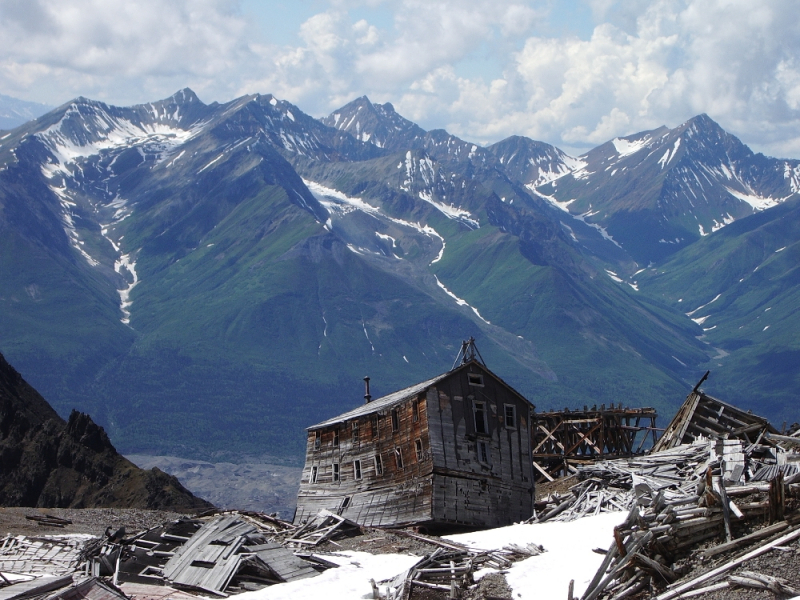 For the adventurous traveler who would like to experience more of the rich history of Kennecott, Alaska, as well as spectacular views, day hikes to Castle Mountan and the Jumbo Mine are an unforgettable experience. 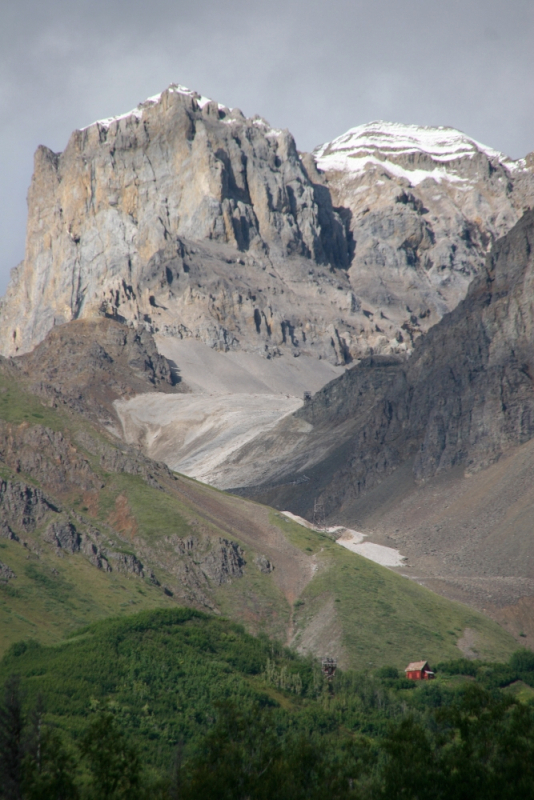 The hike begins at our office in the historic mill town of Kennecott where you will meet your mountain guide. 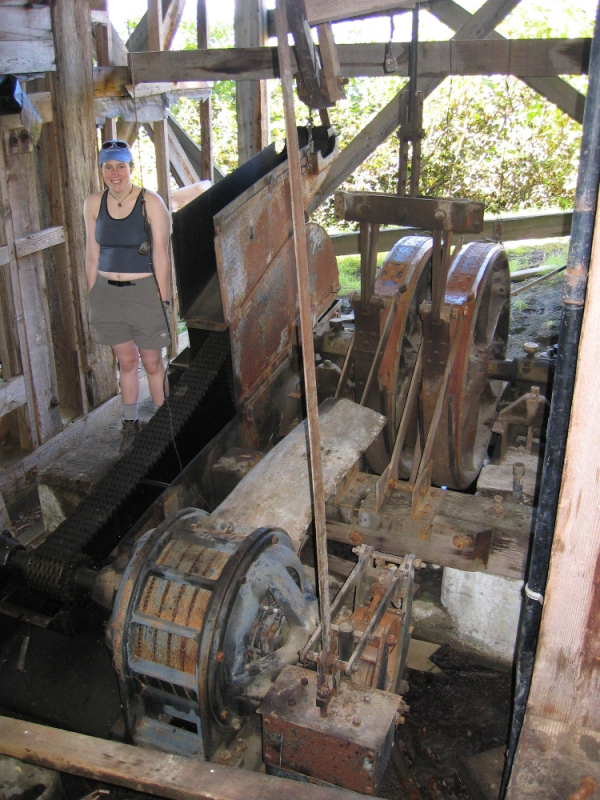 After making certain that everyone is properly equipped, you set off down the main street, making your way to the top of the red and white concentration mill and the old wagon road that leads to the mine. 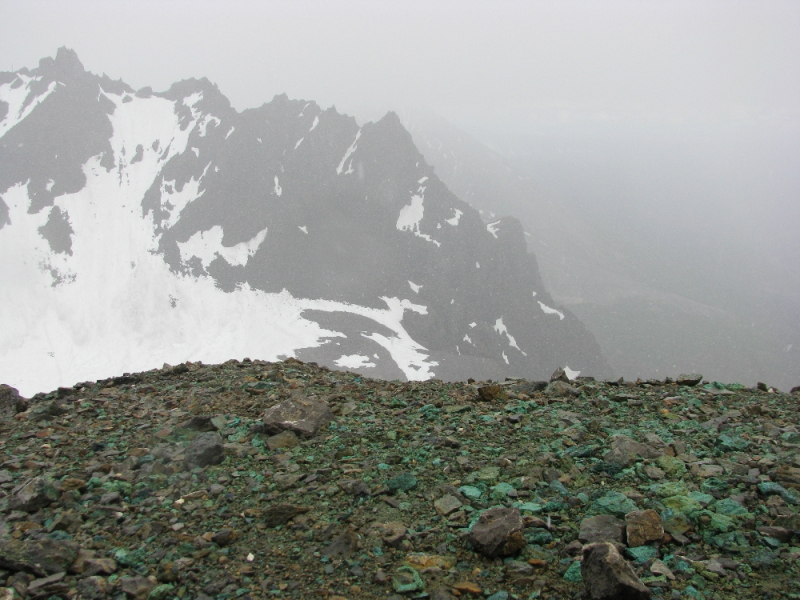 With an elevation gain of 3,000’ in 5 miles, this day hike is not for the faint of heart. However, there is ample opportunity to stop, rest, and take in breathtaking views of the Root and Kennicott Glaciers in the valley below. 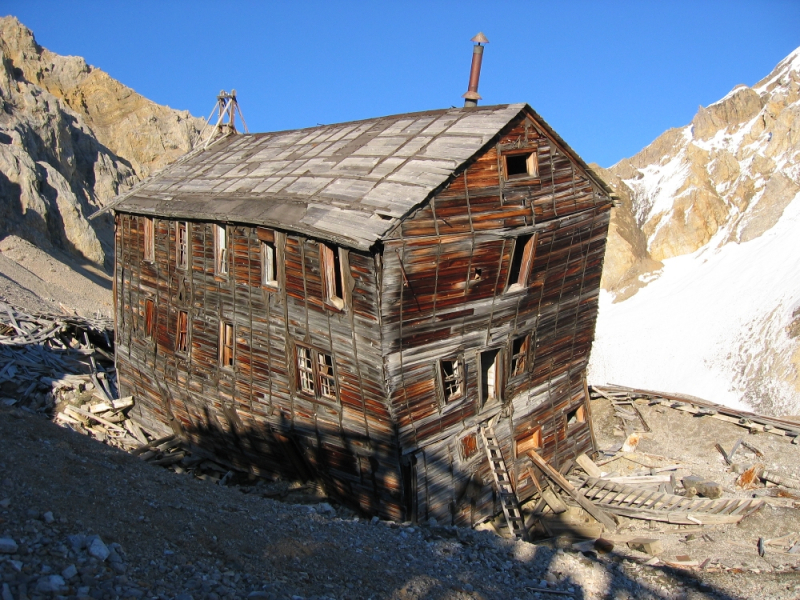 The most notable of these stops is an historic junction station where aerial tramways (much like ski lifts) from the Jumbo and Glacier mines joined together into one as they transported the rich copper ore to the concentration mill. 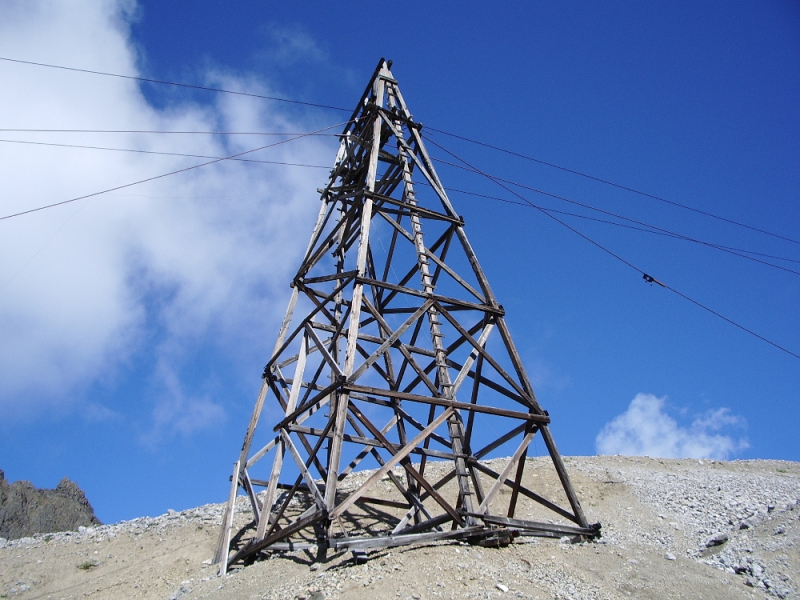 The trail continues to gain elevation as you hike past wooden tram towers that still support their cables nearly 100 years after being constructed. 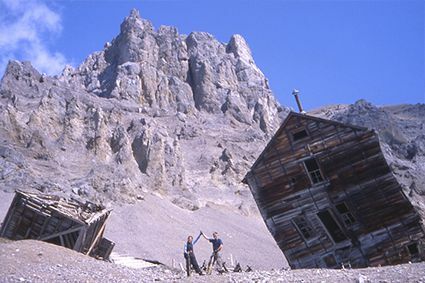 Nearing the top, the route becomes steeper and the trail crosses a rock glacier before finally ending at the ruins of the Jumbo Mine site. The views from here are stunning with the Chitina River Valley and Chugach Mountains to the south and the majestic Castle Mountain rising above you to the north. 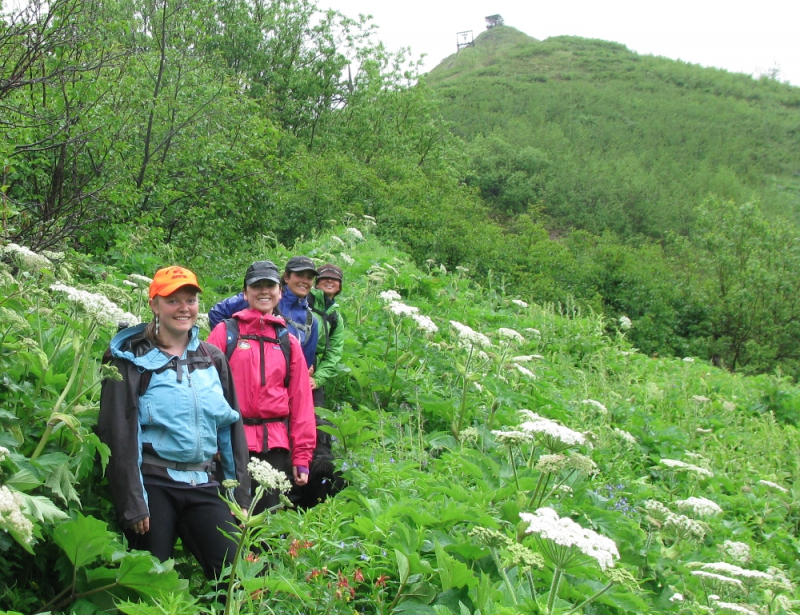 Keep your eyes peeled on the hike back down for Dall Sheep and even the occasional bear.